State Department responds to Abbas: U.S. would consider involvement of other countries in peace talks if it believes it would be helpful. The U.S. State Department said on Tuesday the United States would consider supporting the involvement of other countries in Israeli-Palestinian Authority peace talks in the future if it believes it would be helpful in reaching an accord, Reuters reported. “If at some point we believe that other countries could be helpful to the peace process, we would certainly be willing to bring them in,” said State Department spokeswoman Heather Nauert. “Is the time right for that right now? I‘m not sure we’ve decided that, but that is certainly something that could happen in the future,” she added. Her comments came after Palestinian Authority (PA) Mahmoud Abbas’s speech at the UN Security Council, in which he called on the international community to hold a Middle East peace conference as an alternative to a U.S.-led talks between Israel and the PA.
“Israel has closed the door on the two-state solution and is harming it,” he claimed, while also insisting that it was Israel – and not him – who was avoiding peace talks. “[Prime Minister Binyamin] Netanyahu avoided the Moscow Summit, and the government foiled the efforts of [former] Secretary of State John Kerry. 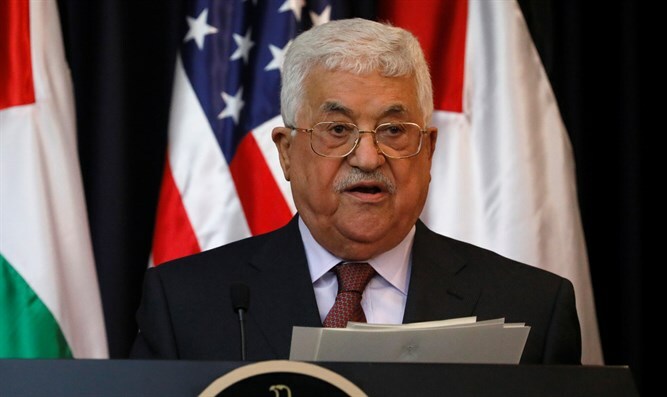 We never refused peace talks,” charged Abbas. Abbas has sought an alternative to direct talks with Israel and has refused to consider the Trump administration an honest broker for negotiations since President Trump’s December declaration recognizing Jerusalem as Israel’s capital. Israel’s ambassador to the United Nations, Danny Danon, later responded to Abbas, saying the PA leader was “no longer part of the solution” to the Middle East conflict – but instead was part of the problem.